Card Review: 6.0 This really isn't a bad looking card. It's actually features a couple of pretty nice photos. 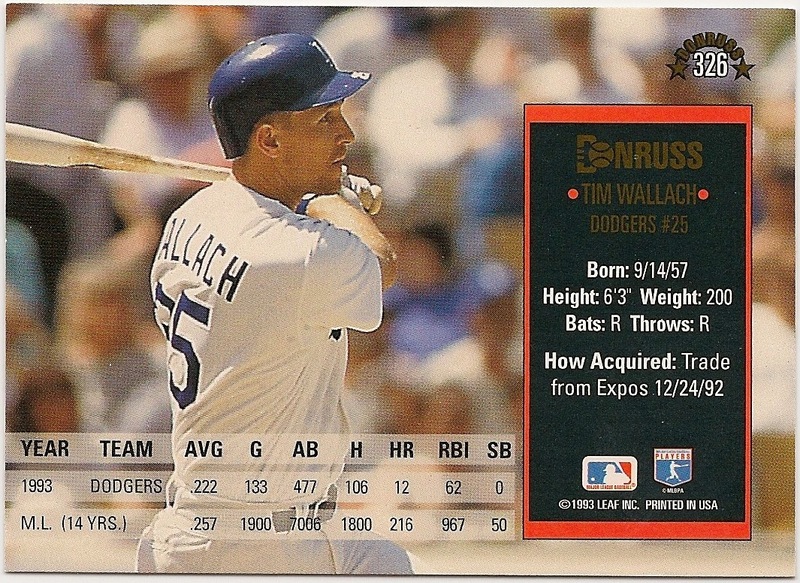 My problem with this card is the fact that it's the Donruss base card for '94. I like familiar things, and as such, I liked Donruss as I knew it from 1981 to 1991. This card shares little with the decade plus of cards they had previously produced. And as mocked as the traditional Donruss backs were, they were still unmistakably "Donruss." This card could be any number of crappy sets put out in this era. 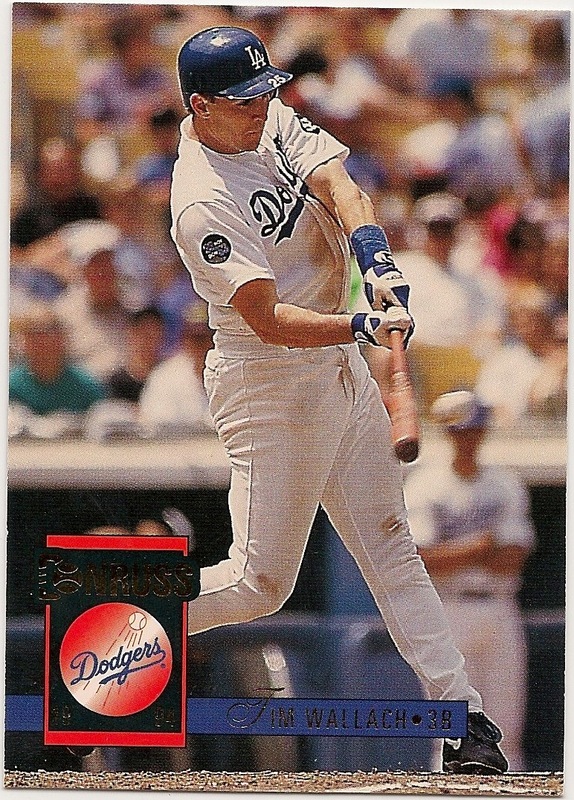 I would have continued to buy "classic" Donruss sets, just out of habit. But when they ditched their identity it was very easy for me to ditch my habit of buying their product, even if the new product was undeniably nicer. It's no accident Topps is the last one standing.